Also, some people wonder why villains go to great lengths to use complicated contraptions to kill their nemeses, rather than just shooting them. But to me, it's simple. They have those contraptions; why not use them. It's like, if you had an EZ Cracker. You obviously don't need to use it, but it would be a waste not to, you know? 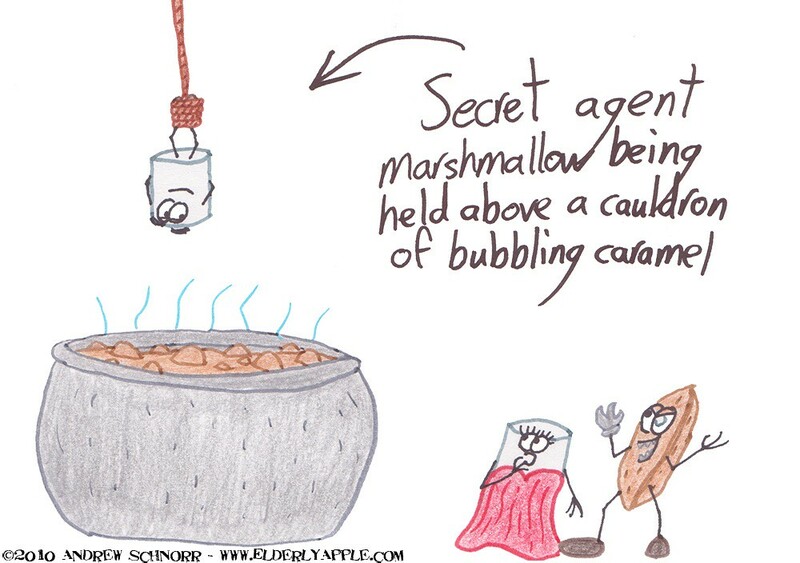 as for the comic, are those mini marshmallows, or is that one huge freaking peanut. oh, and strapless dress? HAWT!! "The name? It's Puffed, Jet Puffed."